Many people were shocked to hear that Dead Space was coming to the Wii, and they were even more shocked to hear it was an on rails shooter prequel, unlike last years hit 3rd person horror title. 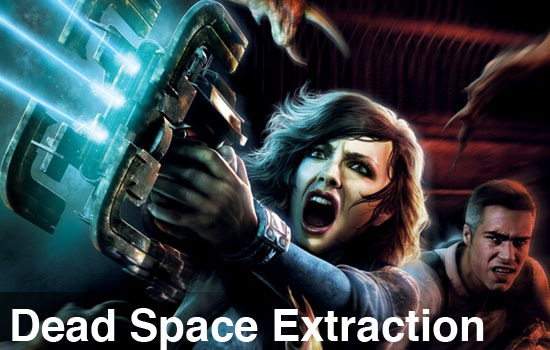 Fans of the series are in for a real treat if they decide to dive into Dead Space Extraction, a game rich with exposition, and one that gives developer Visceral Games total control of the experience. The story starts just as members of the Aegis VII uncover a mysterious artifact, and things suddenly start to go awry. Your character begins to hallucinate, and the crew around him begins to go insane attacking each other, eventually mutilating and killing themselves. 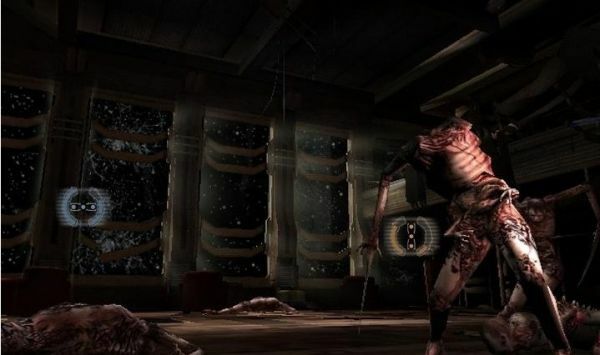 Dead Space Extraction pulls out no stops when it comes to blood and gore, and one section in particular may have been one of the most horrific scenes I've seen in a video game in a long time. All of this is experienced from a first person perspective, with little tricks to really pull you into the game like the sound of your character breathing, quick camera cuts to mimic head movement, and a view of your hands during various actions. I mentioned your character earlier, but in reality over the course of the game you'll play as a few different members of the colony, all tied together by the same event. I can't say enough about just how engaging the atmosphere and story are together. The really interesting thing for players of the original Dead Space are how the events happen in reverse. You actually see yourself causing the set pieces in the environment of Dead Space Extraction, and you re-encounter them in that exact state when you find them in Dead Space. For instance at one point we had to pull a power cell out of a wall and quickly discard it to lock a door - this same room in Dead Space you need to find the power cell to get out. There's tons of these little moments as you travel from the Colony up to the Ishimura and it adds a lot to both the games. Gameplay is straight forward for anyone familiar with lightgun shooters, but there are a few neat quirks. As you find and pick up guns, you can also find four upgrades for them hidden throughout the levels. At certain times the game gives you the freedom to look around and search the environment for weapons and ammo as well as hidden items like text and audio logs. The audio logs in particular have a nice touch of playing back through the Wii-mote's speaker, bringing you deeper into the environment. Most of the weapons are familiar, though there are a few new additions like the force gun which blows enemies back. Every gun has an alt fire mode which is engaged by turning the Wii-mote sideways, and there's a quick reload function similar to that found in games like Gears of War where reloading in a target zone gives you a ammo faster. Finally stasis makes a return, allowing you to slow down enemies, in limited fashion of course, with the push of a trigger on the nunchuck. Page created in 0.4313 seconds.